Name your favorite horror movie based off of Stephen King’s novels, Bingers. Is it It? Or maybe it is The Shining. If you ask me, mine is Misery in which I fell in love with Kathy Bates as Annie Wilkes! This year, a well-beloved Stephen King work is getting a remake. Pet Sematary steps up the horror from the 1989 film but still fumbles in making me scared scared. Bingers, here is my take on Kevin Kölsch and Dennis Widmyer-directed Pet Sematary. Set in the present, Dr. Louis Creed (Jason Clarke) and his family moved from Boston to rural Maine with their kids due to his work. Their new place is old yet large and even includes part of the woods. And to top off the deal is it comes with a cemetery for pets or as the kids who have done rituals there put it- “Pet Sematary”. Not to mention that a few meters outside their doorstep is a lingering danger always waiting to happen thanks to the road used by speeding truck drivers. The film takes its time to set everything up. And as someone who has seen a lot of horror movies, I understood that this is a necessary act just as long as things will pay off at the right time. In the first act of the movie, it did actually deliver the shocks right away with an accident that took the life of an ill-fated student. The boy then kept on appearing to Louis as a vision or as a ghost. It was clear from this moment on that the film was trying to convey its message about death and one’s acceptance or denial of it. The couple each had a fair share of dealings with death but Rachel (Amy Seimetz) had it worse. When she was younger, she had a twin who died in an accident which she blames herself for. Pet Sematary crept its way into some thrills at the first half of the movie. My expectation for some terrifying sequences were held off but instead welcomed with jumpscares- cheap ones, if you ask me. That was until the turning point at the second half. As someone who was vaguely familiar with the novel or the original movies, I was totally shook that I shouted “OH MY GOD!” That particular sequence was shot with such beauty and tension that it nearly made up for the slow burn that was the first half of the movie. 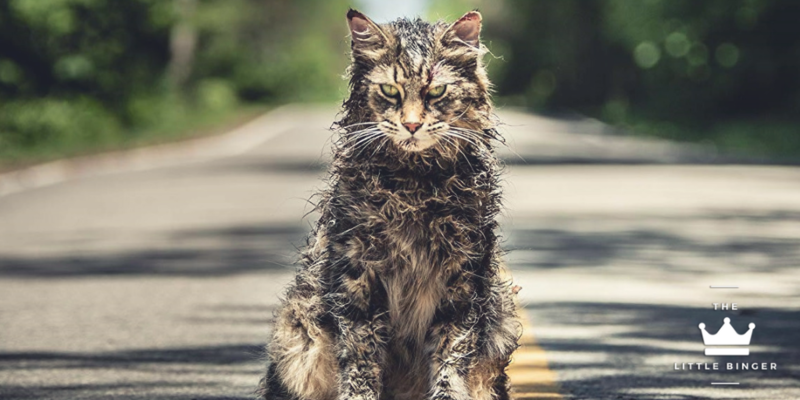 Without spoiling any further the plot of the movie, I should say that the 2019 remake of Pet Sematary hit its stride after this turning point! All the setups were starting to pay off and the thrills were starting to get on my nerves. Of course, it would not have been possible if not for the incredible cast, particularly Jete Laurence who plays Ellie and John Lithgow who plays Jud. The chemisty between these two perfectly captured the characteristics that I would normally root for in a horror movie. And yes, before I forget, you’d be terrified of Church the cat! Pet Sematary, as a remake, snuck in some deviations from the original and even from the material that purists would hate but as for me who can look past the comparisons, would easily shrug off. While the narrative is terribly slow, the atmosphere made up for it. The realism of the characters amped up the scare factor because they can pass off as your regular family next door. It is far from a perfect or a great horror movie that will make you scream but it successfully created sequences that will give you fear that lingers. Still, Pet Sematary planted the seeds for a terrifying narrative but lost its message through its long and winding storytelling. While it terrified me at some parts and had me flinching in my seat, I still would not put it alongside my favorites in the genre. PREVIOUS POST Previous post: "Shazam!" Is the Most Fun DC Movie Yet! NEXT POST Next post: Stay Fresh, Have a Fruitas Shake Muna!